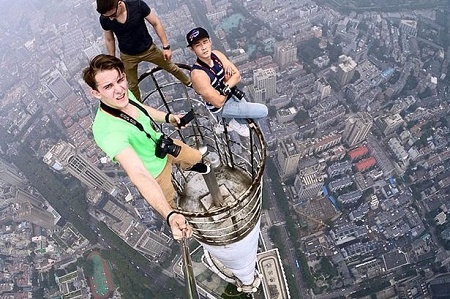 This extremely daring young men have thrilled as well as shocked people with their antics as they take on the world's tallest towers to take selfies. 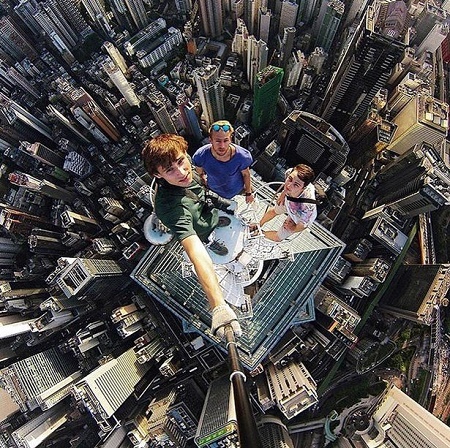 These daredevils are certainly not scared of heights as they scale towers hundreds of metres tall in their quest for the perfect photo. 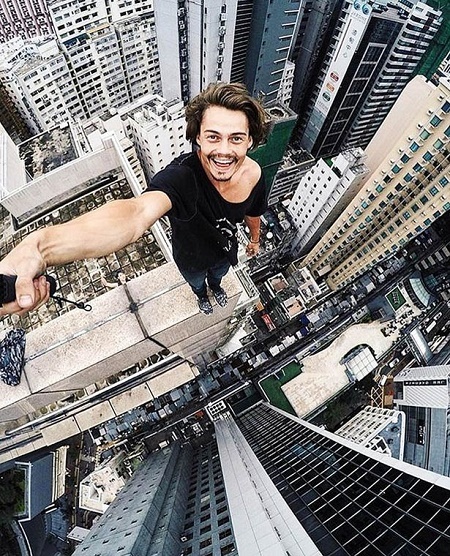 The photography movement called rooftopping involves thrill seekers climbing to the top of city skyscrapers, hanging off the edge and taking pictures of the spectacular view beneath them. Disguising themselves so they can carry out their daring stunts, they avoid security and CCTV before climbing to the top of skyscrapers and hanging off the edge - photographing the evidence as proof of their antics. 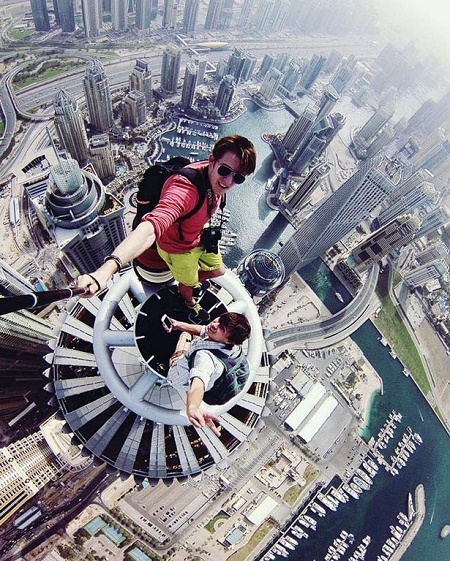 Instagrammer, @sidorov made it to the first step on the spire on the 413.4m tall Dubai Princess Tower which is a 101 storey, residential-only skyscraper located in the Marina district of Dubai, UAE and is currently the 20th tallest in the world. 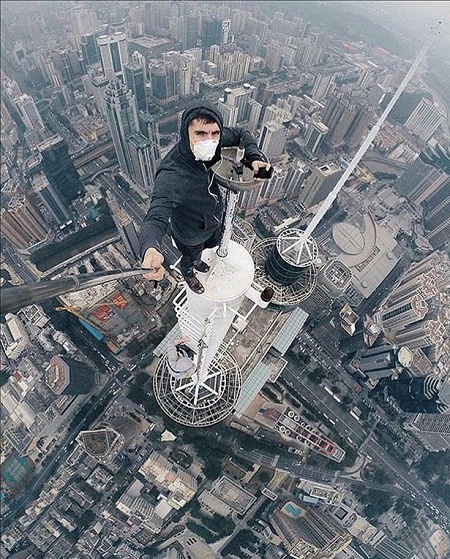 The above daredevils are posing on top of a rooftop in Shenzhen in Guangdong Province, China high above the rest of the skyline.